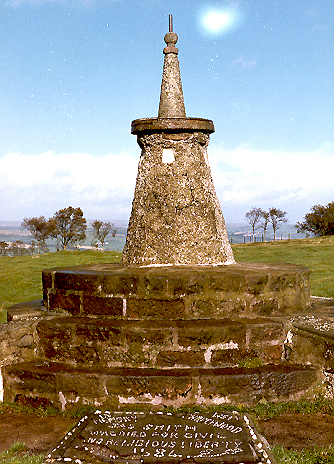 The memorial to James Smith is located on a low knoll to the south-east of Galston. Access is by way of minor roads and a footpath. 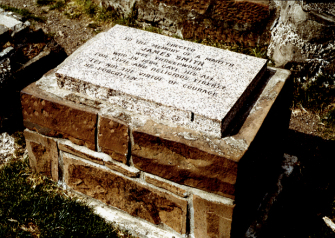 The monument at Gallowhill, or Molmonten, was erected in memory of the Galston Covenanters in general, and to James Smith in particular. Smith lived at Wee Threepwood, which was a small farm to the south-west of the monumnt, near to Burn Anne. Local tradition claims that he was buried where he was shot, near his home, in 1684. There is some confusion about this, as there is a headstone in Mauchline churchyard to the same person, tough this may be a relation.